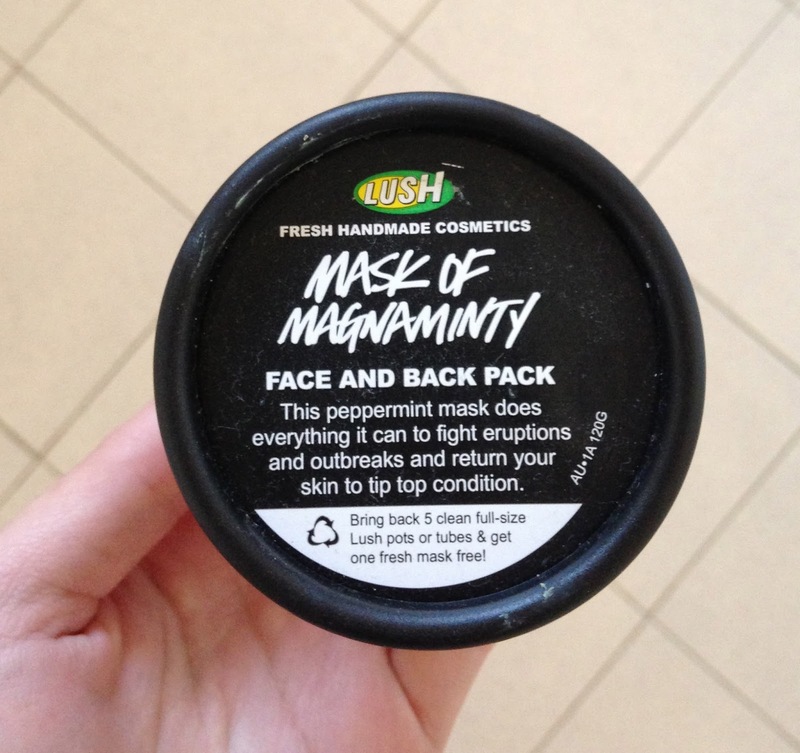 I've been really getting into masks recently and this week, I used the LUSH Mask of Magnaminty. It's a mask that deep cleanses both your face and your back (especially good for people who get break outs on their back!). 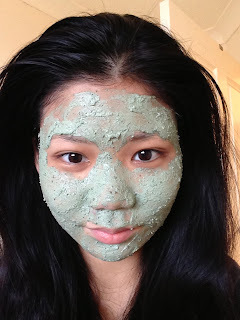 The two things that jumped out at me most about the mask is the China clay and the peppermint oil in this mask. 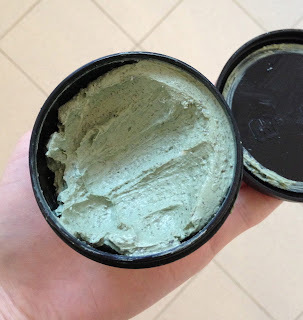 The China clay pulls out the nasties from your pores and the peppermint oil is so evident in the mask from both the smell and that cold menthol like feeling on your face when the mask is on. The mask also has ground aduki beans and evening primrose seeds in it for exfoliation and it's super thick. The mask is meant to stay on for 5-10 minutes but I think some people might struggle a little bit to make it to 10 minutes. When you've got the mask on, your face just starts to get colder and colder and I felt like my face had been stuck in a freezer! It's not a completely unpleasant feeling but it does make it a lot more satisfying when I wash it off with warm water as feels SO GOOD! The feeling of washing it off is kind of like having a hot shower in winter. It just feels so amazing. It's time to wash it off when the mask starts to harden a little bit and it becomes a little difficult to crack a smile. When I'm washing it off, my face just feels so soft and that cold feeling lingers a little bit afterwards. It makes it feel like the mask is doing its job. The best part of the mask is that after using it, my face doesn't feel tight at all and it's super soft. My face just feels clean and looks...... glowy. As silly as that sounds, you really do get that feeling like you've done an amazing job at cleaning your face (even though you haven't really since the mask did everything :P). The only negative about the mask is that it only has a shelf life of 3 months so I'd advise that you buy it as close as possible to the "made on" date. The tub will have a sticker that tells you the "made on" and the "use by" dates. This is actually my second tub as my first one reached the use by date before I got to use most of it. I was really upset but then I just repurposed it as a foot scrub :P (it was only a few days past the use by date). However, I do like that it doesn't need to be refrigerated. The mask retails for $16.95 for a 125g tub. Are there any LUSH masks that you've tried and can recommend? This sounds great, although I don't like the fact that there's peppermint in it. I know menthol can dry out the lips more so I always feel like it'll do the same for my face. In saying that, this sounds lovely and I'll probably go grab a sample ahahaha. Great post and I agree with Jasmine, sounds like it'll be great for summer. This mask sounds great and it's so much easier to store as it doesnt need to be in the fridge! I find that masks that need to go in the fridge gets forgotten! Limited Edition MAC lipstick giveaway winner!